FauxFilter Foundation Is Unlike Any Other You've Tried Before! 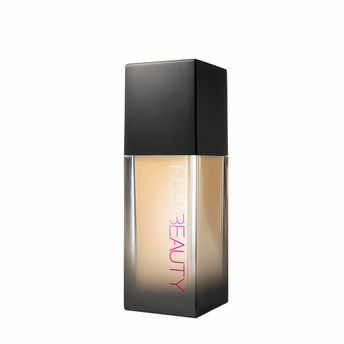 This velvety smooth liquid foundation is packed with ultra-refined pigments that visually erase blemishes, conceal hyperpigmentation, smooth skin, and blur imperfections. The formula blends seamlessly with skin, using just one pump. The #FauxFilter Foundation range is inclusive for every skin tone and ethnicity, Huda devoted two years to developing a broad colour spectrum, ranging from fair, beige, olive, rich shades and everything in between. Explore the entire range of Foundation available on Nykaa. Shop more Huda Beauty products here.You can browse through the complete world of Huda Beauty Foundation .Alternatively, you can also find many more products from the Huda Beauty #FauxFilter Foundation range.